I like calling myself a WordPress Enthusiast. Having fallen in love with WordPress for over 8 years, I can surely say this is one true love. You can see below what my past clients had to say about my work for them. I am a regular speaker at WordCamp Nepal for the past 3 years, and also am a regular speaker at WordPress meetups. I blog at codepixelz.com and create or review themes when I am free. Utsav did a great job. I've been trying to get my website sorted for months now. He took my designs and a theme I'd selected and turned this into reality. Very quick to respond and made this project straight-forward. Good comprehension of our problem. Very reactive. I'm very satisfied of this supplier. I chose this rating because you don't have a 10-star rating! Utsav was awesome: prompt, helpful, thorough, I gave him access to the back end of the client's site and look forward to a quote from him to build a new one. 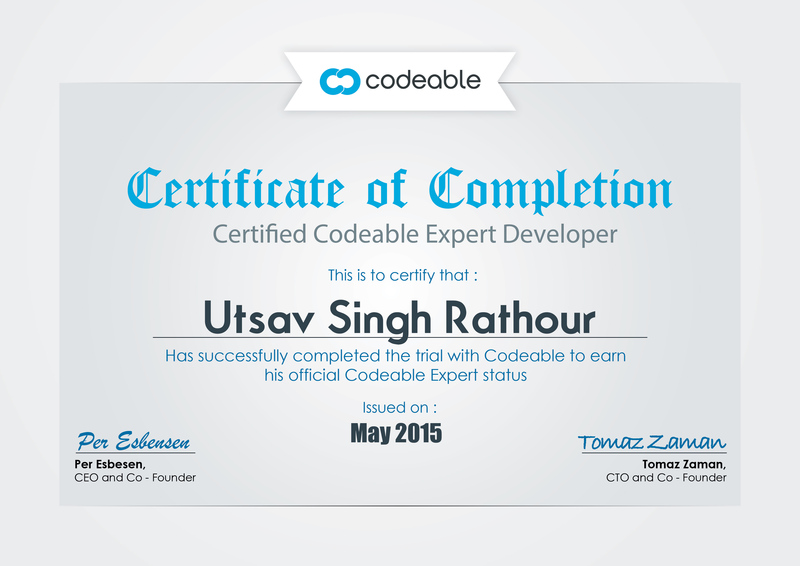 Thank you, codeable! Ustav was very helpful in assisting me and the company I work with in getting our site optimized and implementing some new features. Knowledgeable and helpful, and was patient with us which was appreciated, since website editing is not our expertise. Utsav did quality work and communication was wonderful. Highly recommend him! This is my first Codeable experience. Working with Utsav has been great. He is always responsive, flexible with changes in the brief, and nothing has been a problem... and his work is good. Happy client. Thanks Utsav, look forward to working with you again.